Is the Havanese right for you? Find your perfect match now! Havanese are the hot new thing on the streets of Park Slope in Brooklyn, but everywhere else they're kind of hard to find. These pretty, personable pooches have a storied past: these dogs have kept luminaries like Charles Dickens and Queen Victoria company. This breed packs a big heart and big personality in their tiny, bouncy bodies. 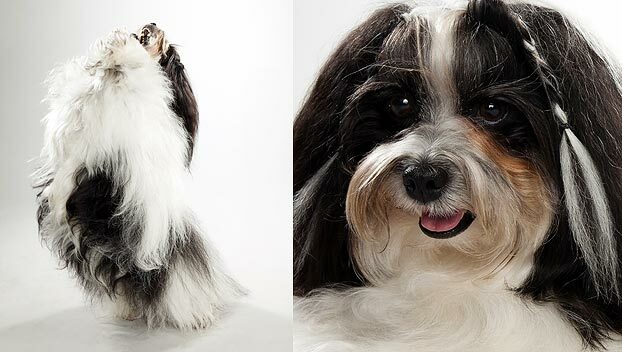 The Havanese has a spring in its step, and unlike many Toy breeds, they're not yappy or snappy. It's easy to see why these charming canines are valued as companions. The Havanese is both the national dog of Cuba and the only breed native to Cuba. This small-sized and medium-energy breed can grow to between 7-13 pounds and lives an average of 12-14 years. The breed is recognized by the American Kennel Club and classified as a member of the Toy group. WHAT IS A HAVANESE'S PERSONALITY LIKE? These friendly, funny furballs make good family companions and will play best with supervised children. They're lively and very affectionate, curious and cute as the dickens (and way cuter than Charles Dickens, of course — sorry, Charlie). They're surprisingly sturdy for such small dogs and are happy to meet other dogs, other pets, or strangers. WHAT IS HAVANESE BEHAVIOR LIKE? Havanese are compact cuties who only need moderate daily exercise. They make alert and vigilant watchdogs, but they only bark when they think it's necessary. These canine comedians like to keep you laughing — no wonder some circuses employed them as clowns! HOW EASY IS IT TO TRAIN A HAVANESE? The eager to please Havanese (try saying that five times fast) is typically easy to train. But be gentle with this intelligent, sensitive soul. 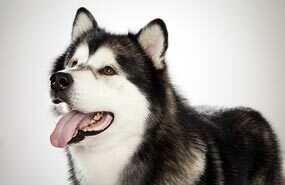 This breed responds best to positive reinforcement like games or food. They can also be trained to use piddle pads. 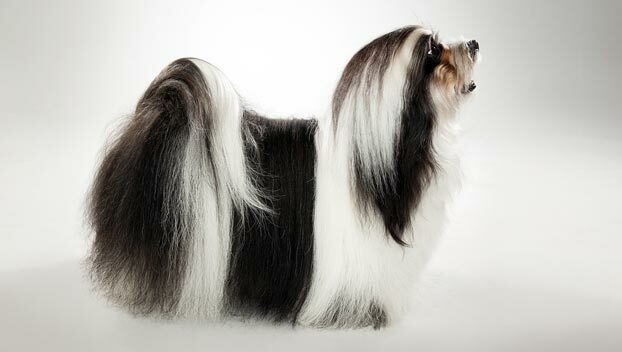 HOW MUCH DO HAVANESE SHED AND WHAT ARE THEIR GROOMING NEEDS? That fluffy Muppet coat means lots of brushing. Their hair is silky, soft, and wavy, and will look gorgeous if you take care of it. 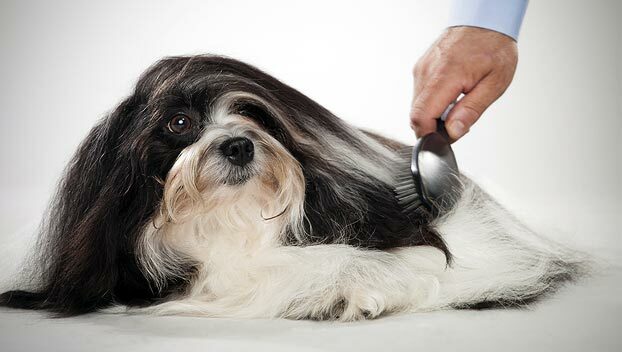 Plan to brush your Havanese every other day. They are infrequent shedders. 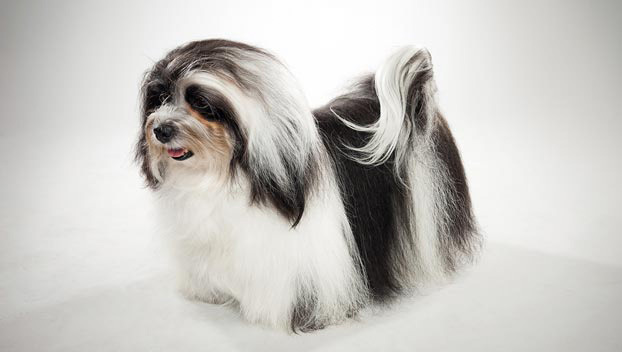 WHAT HEALTH PROBLEMS DO HAVANESE HAVE? This is a robust breed. Some are susceptible to cataracts and other eye diseases. ARE HAVANESE GOOD FOR PEOPLE WITH ALLERGIES? The American Kennel Club doesn't list Havaneses among its breeds recommended for allergy sufferers, but they are infrequent shedders, which might help mitigate how much this dog makes you sniffle. You can reduce your furry friend's impact on your allergies with frequent baths and brushings to reduce loose hairs and allergy-aggravating proteins in your pet's dander. Use a damp cloth to wipe off your dog after playing outside. Smaller dogs have less surface area, so they produce comparatively less dander than larger breeds — definitely something to keep in mind with a dog as small as a Havanese! Remember that no breed is 100% hypoallergenic, and any breed can aggravate allergies. WHAT'S A HAVANESE'S BEST DAY? Every day a Havanese gets to spend with you is her best day. Can you play games outside together? Are there treats involved? Are there dogs and kids to meet? Best. Day. Ever. It's no wonder this travel-sized Toy breed is the toast of Williamsburg — Havanese are a great choice for apartment and/or city dwellers. They don't shed or bark much, only need moderate exercise, and are happy to keep you company whether you're going to Whole Foods or out for a laid-back hike. They don't mind the heat or the cold too much, and they're a joy to train. 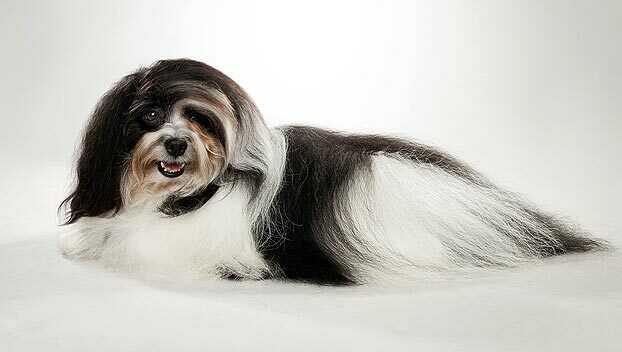 If you don't mind keeping up with this fashion plate's flowing locks, you'll find the Havanese makes the perfect accessory. Have you decided that a Havanese is the perfect dog for you? Why not be your new best friend's hero and adopt a rescue! Be sure to check out our article on what to expect when you're adopting a dog or cat.